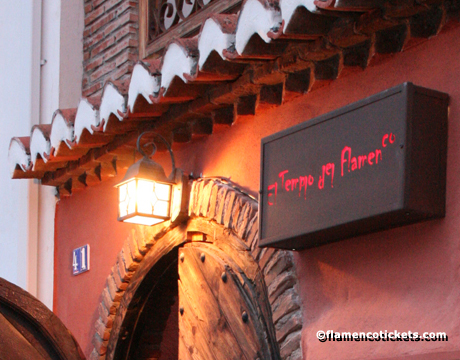 El Templo del Flamenco is located in the Albaizin quarter of Granada. 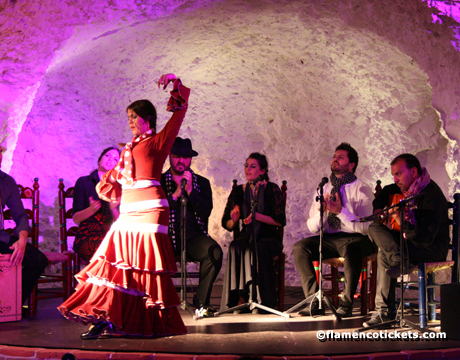 The neighborhood is a protected World Heritage site, full of winding pedestrian streets with charming houses offering wonderful views of the city center. 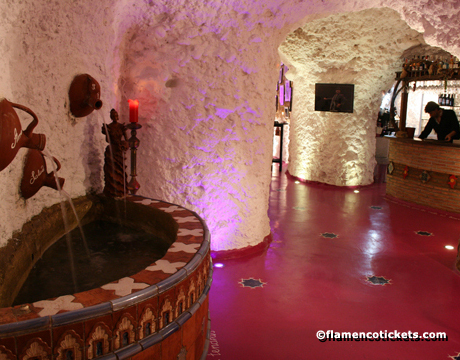 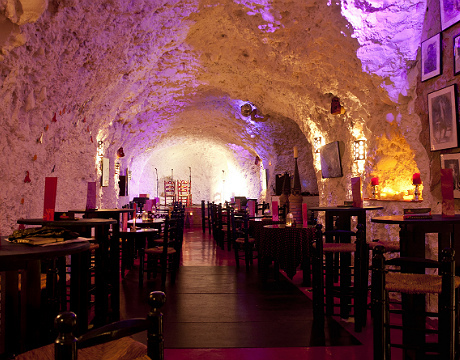 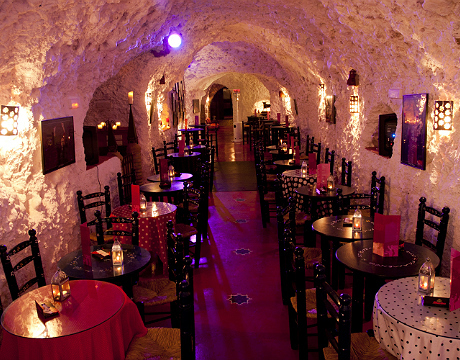 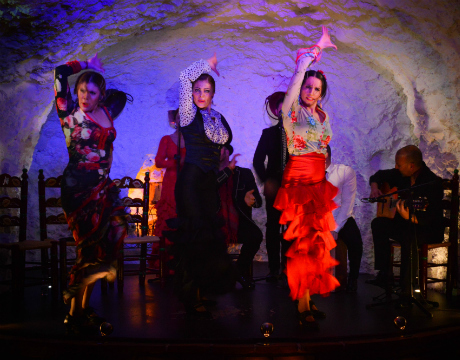 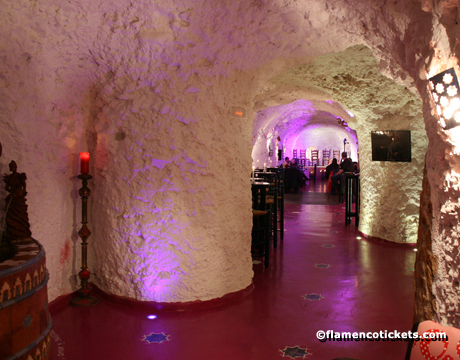 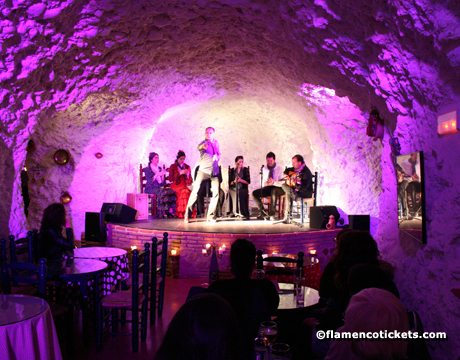 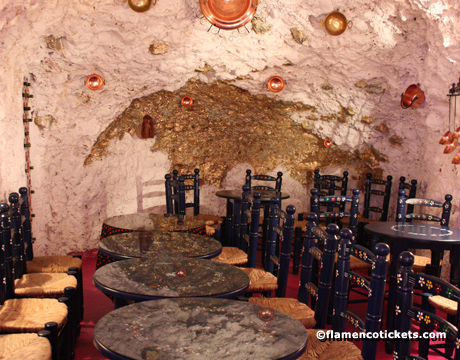 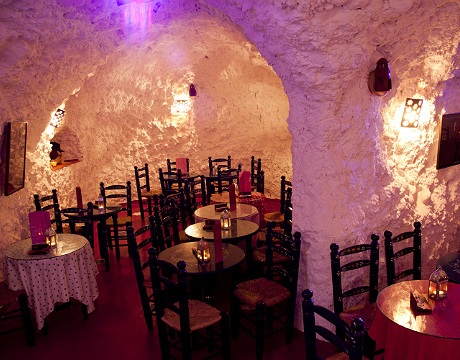 El Templo del Flamenco opened in 2012 in what is one of the largest flamenco cave venues in all of Granada. 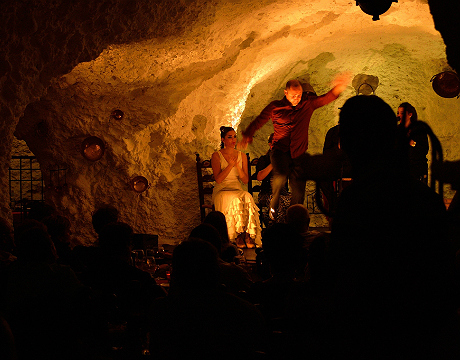 Local legend describes the cave as a former temple, which explains the larger dimensions as well as the three main chambers forming the shape of a cross. 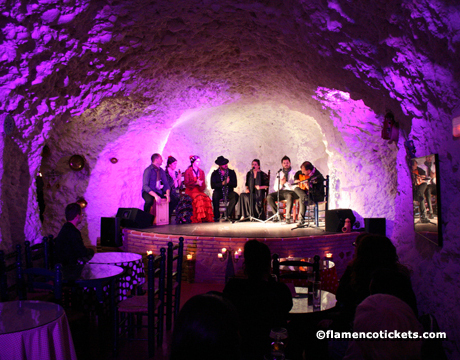 The stage has been carefully placed so seating from each chamber has an unobstructed view of the performance. 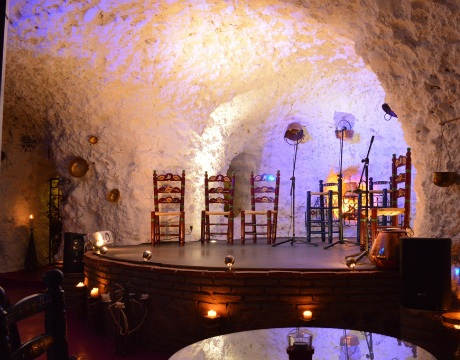 During the renovations the owners were careful to respect the historic and typical nature of the cave while including some elegant touches which are unique to these types of venues in Granada. 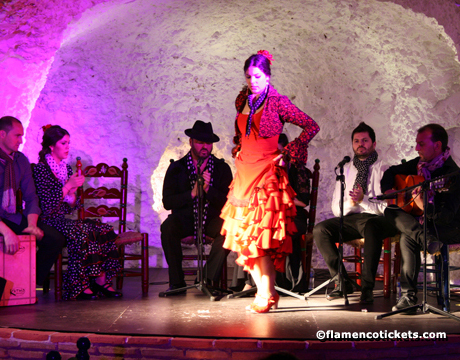 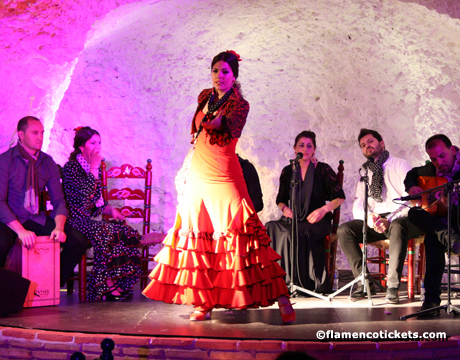 The flamenco shows in El Templo del Flamenco are lasting one hour and fifteen minutes with between six and eight artists. 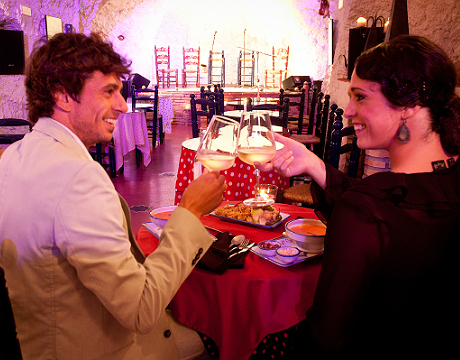 The venue offers ticket options for the show with drink or a fixed price menu which features quality, regional cuisine. 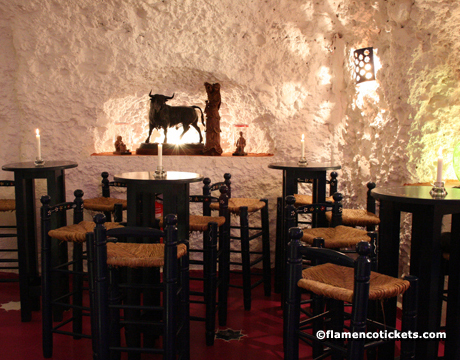 There is also a full staff on hand to provide an efficient and personalized service to all those attending. 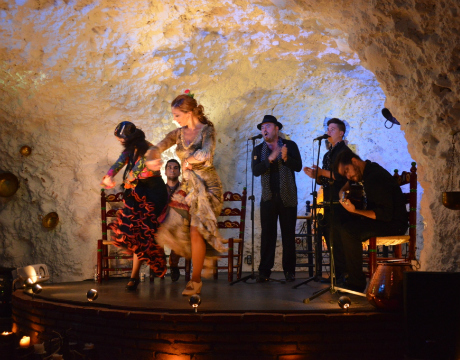 The artistic direction of the cave is under Antonio Vallejo, who also serves as the Artistic Director for the Municipal Flamenco School of Granada. 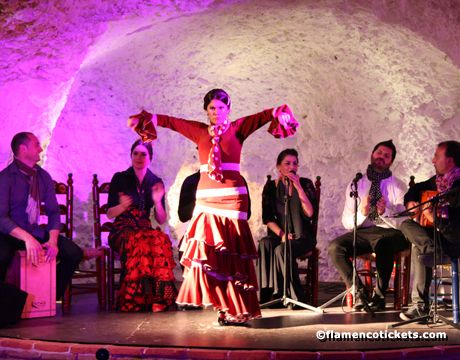 Vallejo has guided many young artists to professional level and national flamenco competitions. 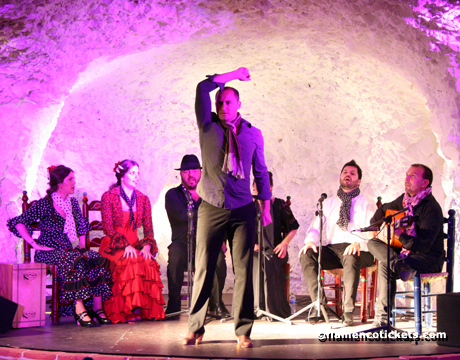 A talented choreographer, he has taught and performed across the world, visiting more than 40 different countries. 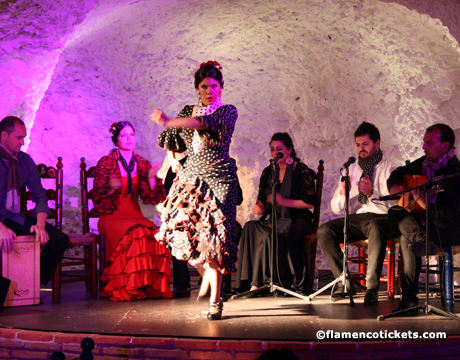 Vallejo also performs regularly at El Templo del Flamenco along with several other gifted musicians and dancers. 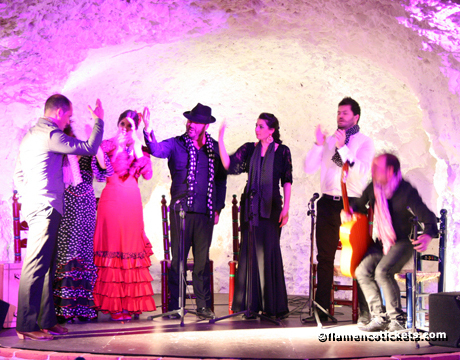 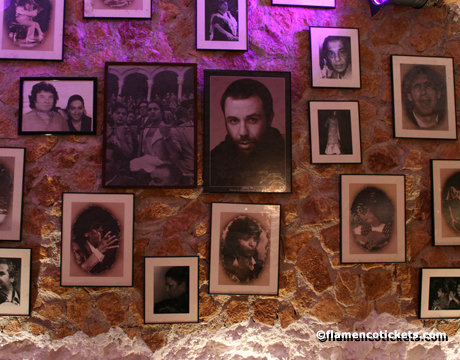 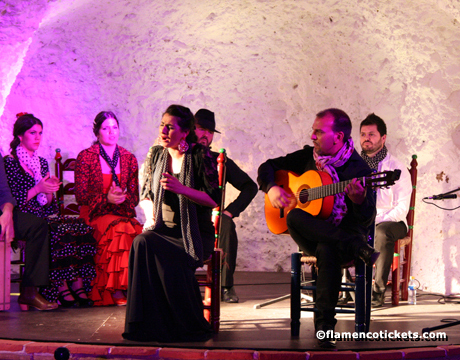 The quality of the show reflects their involvement in the local and national flamenco scene. 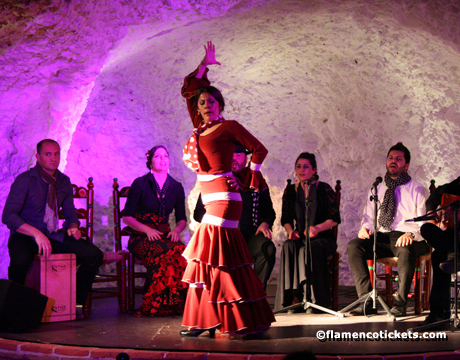 The flamenco is refreshingly unique to the city and includes a good mix of up and coming talent as well as experienced performers.